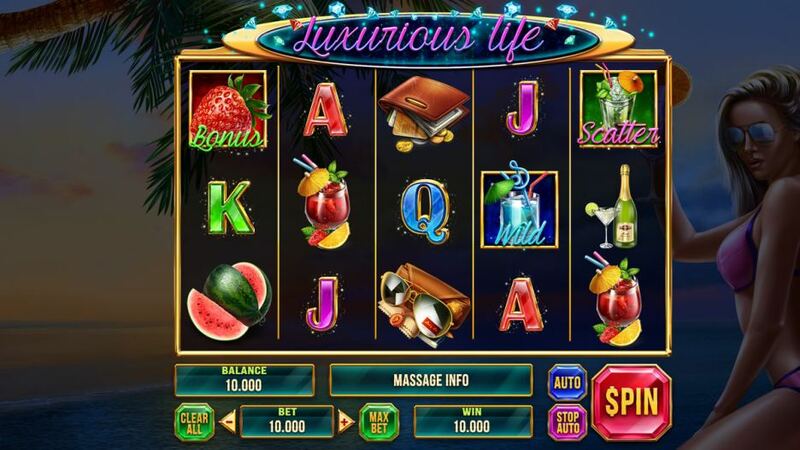 Online slot machine for SALE – "Luxurious Life"
Classic online Fruit slot machine for Purchase – "Luxurious Life"
Graphic design for the online slot game "Luxurious Life"
MONTREAL, Quebec - Nov. 28, 2018 - PRLog -- Today, we are glad present to you our next online slot game "Luxurious Life", made by our game designers on the Luxury Life. It is not a miracle but a dream that can come true as long as you try the amazing luxury slot. Great news for all visitors of our site! You will be available a complete set that includes: a unique thematic logo, set of game symbols, background images, and also the game UI and additional tables of rules and payments. Join the fans of luxurious life right now! Every player who has not yet become a millionaire would at least once feel like a part of this elite society, who comes to the offline casino on expensive cars and allows them to spend thousands of dollars just as entertainment. Our new online slot game gives such opportunity.